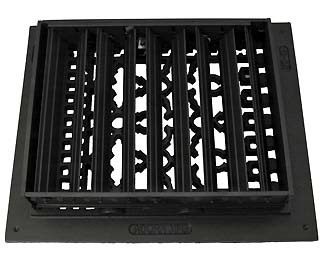 Cast Iron Grilles: Sold Individually. Grilles Do Not Have Air Flow Louvers. Solid and Heavy Cast Iron Construction. Black Iron Registers: Sold Individually. Registers Have Air Flow Louvers That Open and Close. Louvers Controlled With An Allen Wrench (Not Included). Solid and Heavy Cast Iron Construction.